As the first resale in 15 Renwick’s highly sought after three-bedroom line, this residence is a true find. 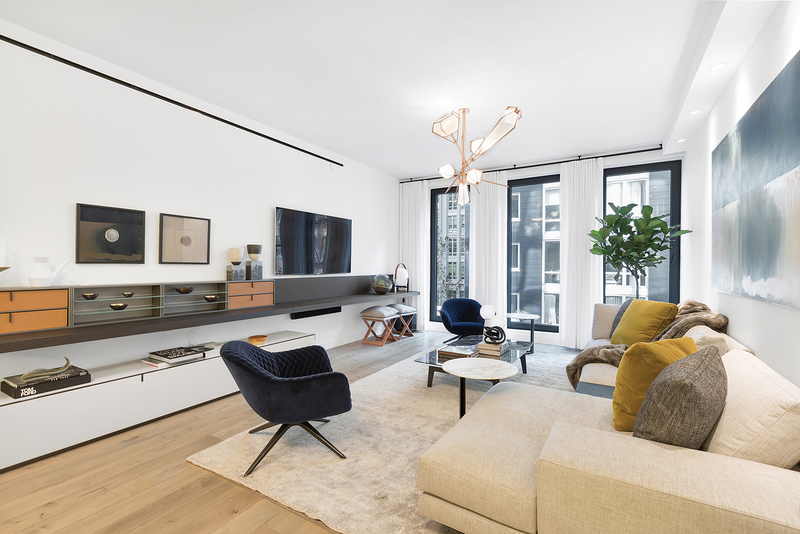 Apartment #304 features both east and west exposures, 8-foot tilt-and-turn windows, 6-inch wide walnut floors, 8-foot solid core wood doors with Valli & Valli hardware throughout. The state-of-the art Italian kitchen cabinetry was crafted by Poliform with top-of-the-line appliances that include a Miele fridge and oven, a built-in Dacor microwave drawer, a Subzero wine cooler and an in-sink disposal. Bathroom features include radiant heat, statuary marble on floors and walls, custom walnut cabinetry and Waterworks Transit plumbing fixtures throughout. The owner added numerous upgrades which include a waterfall Calacatta marble kitchen island and an elaborate home-automation system by Crestron controlling lights, HVAC, shades and Audio-Video. 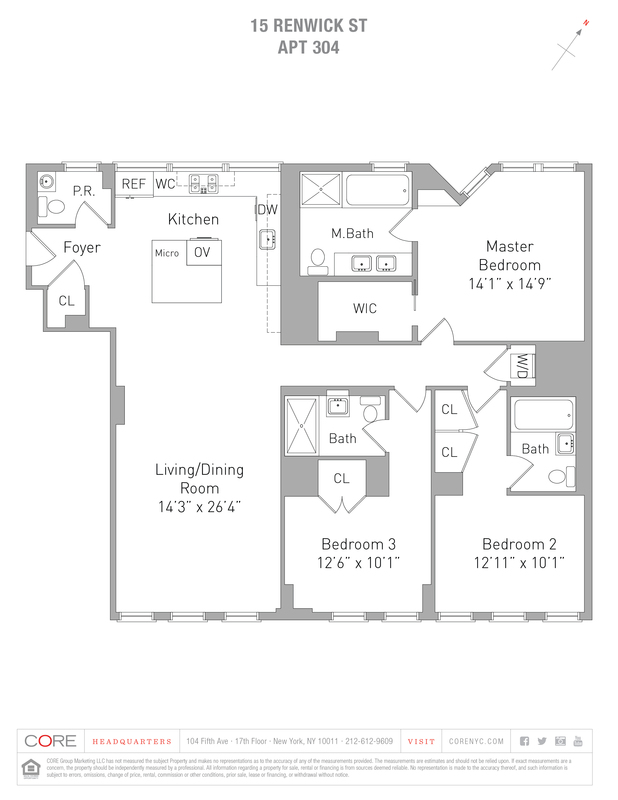 Residents of the building enjoy many amenities which include 24-hour doorman, a fitness center and boxing gym, roof deck, bicycle storage and a Zen garden designed by the renowned HM White Site Architects.